Janelle Peters | Amazing Lookalike! On the left is Dr. Janelle Peters, who researches Paul, gender, and embodiment, and is Director of Forums at Marginalia Review of Books. 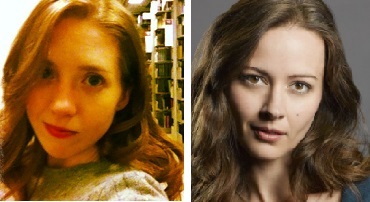 On the right is Amy Acker, who starred as Winifred ‘Fred’ Burkle in Angel and as Root in Person of Interest.